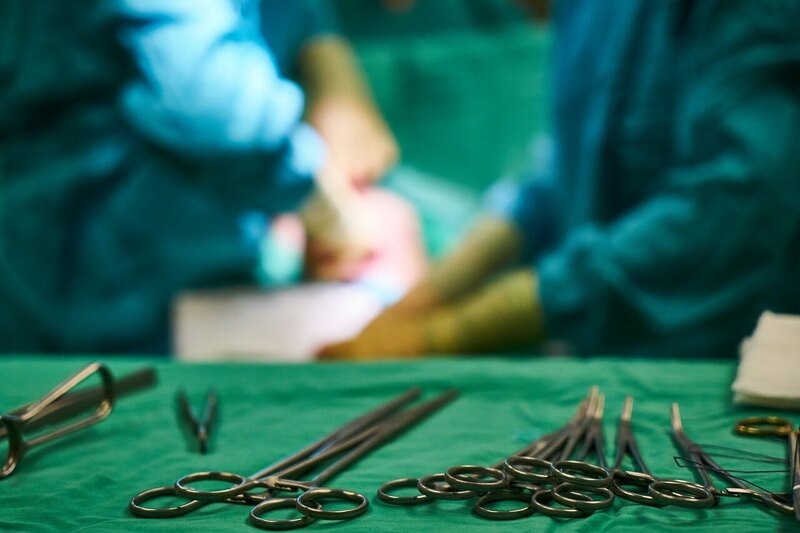 A focus of many hospitals, ambulatory surgical centers, and clinicians is improving surgical outcomes and post-op recovery for the patients they serve. And with good reason. 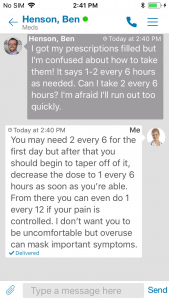 Not only do these providers care about their patient outcomes and recovery experience, but the information is now publicly searchable on sites like Healthgrades.com. Healthgrades lists every provider in the country who has an active profile with the National Provider Identifier (NPI) Registry, a government directory of all active providers in the country. Sites like this use data collected to provide transparent information to potential patients. Sources include: NPI, patient surveys, claims data from government and third party sources, as well as information directly from providers or practices. With this transparency comes scrutiny, as savvy patients arm themselves with the information when selecting a provider or facility. In turn, these clinicians work diligently to put their best foot forward, and we aren’t just talking about podiatrists. Surgeons and surgical facilities have undertaken great initiatives to improve the patient experience and find ways to make the recovery period (often the most critical time for a surgical patient) as positive as possible. Many third-party insurance companies have also begun to reduce reimbursement for post op complications that are considered “reasonably preventable.” Adhering to best practice measures in an effort to reduce those complications lead to improved overall quality of care. Programs like the National Surgical Quality Improvement Program or The Joint Commission’s Surgical Care Improvement Project (SCIP) were formed to measure the quality of surgical care and outcomes, as well as encourage hospitals to develop necessary quality initiatives. In today’s modern age, it’s no surprise that texting has been incorporated in these improvement initiatives. Why does texting come up as suggested tool for improving patient post-op recovery? Because it’s all about communication. Improve communication, enhance outcomes. Programs like SCIP focus on a prophylactic approach, preventing post op issues prior to surgery with antibiotic stewardship, appropriate use of cardiac medication, blood sugar control, and Venous Thromboembolism (VTE). However, individual providers and facilities have to be proactive and reactive. After a surgery is performed, the patient transitions to the recovery phase, a stage where they are sometimes at the greatest risk. Some patients will recover in the PACU (depending on the type of anesthesia used and the procedure type), while others may be transported to the ICU or even back to Day Surgery. When these patients are under 24/7 supervision, things tend to go very well as medical staff address issues in real-time. However, when that patient goes home, communicating with care providers has historically been a love-hate relationship between patient and an answering service. After discharge, patients often have questions about prescription medications or need to talk to a provider about pain control, fevers, or other unexpected symptoms. When this communication is delayed, it can be serious, even potentially fatal in some cases. Patients will often present back in the ED for management of these post-op complications and that can lead to readmissions. It’s apparent why both hospitals and payers have incentive to improve the post-op experience and how improved communication can help achieve it. 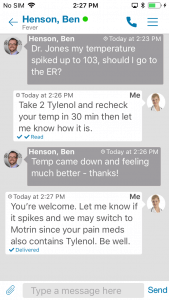 But how can clinicians and patients connect without the runaround of the call center or the frustration of endless voicemails? By engaging technology and doing it in a way that provides convenience and security. Enter secure texting. Because the provider can respond to these issues in real-time, they can head-off more serious complications down the line. A secure text conversation that takes 60 seconds to complete is far superior to the hours of waiting on returned calls. Another advantage to using a secure texting app is the ability to send images to the clinician. When the app has a HIPPA-camera, images can be shared securely, and we all know a picture is worth 1,000 words. When you’re preparing to kick-off a post-op improvement initiative and incorporate secure texting, there are a few things you should be looking for in a vendor. Make sure the vendor is HIPAA-Compliant and uses state-of-the-art dual key encryption. Keep the data behind your firewall, not theirs! Some vendors store your messaging data (and the data of all of their customers), which makes them huge targets for hackers. Insist on cloud pass-through technology. Texting alone isn’t enough, patients and providers will want to send images in confidence so select a vendor with a HIPAA Camera. Lastly, choose a vendor that has experienced implementation staff. Why reinvent the wheel? Your chosen provider should be able to guide you on your path to improving post op recovery. Ideally these implementation specialists will have a clinical background and truly understand your business. Learn more about how QliqSOFT delivers patient texting solutions by getting in touch.